Genpact’s plan to purchase Rage Frameworks represents an evolution in IT automation and business process services – moving from improving back-office functions to enabling true digital transformation. With its announcement last week that it will purchase enterprise artificial intelligence (AI) and automation vendor Rage Frameworks, Genpact became the first IT and business process service provider to acquire an AI platform. The addition of Rage Frameworks, which has been applying machine learning and language processing to build intelligent automation platforms for financial services, capital markets and supply chains, “will take Genpact deeper into integrating semi and unstructured data and AI, where we see the true marriage of business processes with clever technology and self-developing algorithms,” says Phil Fersht, CEO of outsourcing analyst and consulting firm HfS Research. On the surface, another acquisition of a niche automation vendor by an IT service provider might seem unremarkable. But industry watchers say this may be the tipping point where focus will shift from back-office automation to integrating and intelligently automating front- and middle-office functions. Labor-arbitrage based IT service providers ceased growing last year, according to Everest Group, with 21 percent of industry growth in IT and business process services with a digital focus. A recent survey of of 132 “best reference” clients of top service providers by Everest Group found that 48 percent were unhappy and 25 percent were very unhappy.” A top reason for their dissatisfaction is providers’ capability of helping them with a digital restructure,” says Bendor-Samuel, adding that this move by Genpact is acknowledgement that the future of IT services will be focused on digital transformation. Genpact’s purchase is not the beginning of a trend, but rather the next phase of an ongoing attempt by outsourcing providers to embed enabling technology into their offering. “For the past several years, outsourcing providers have been actively pursuing ways to incorporate increasingly transformational levels of automation and intelligence into their solutions,” says Borowski. To date, the tendency has been to partner with rather than purchase AI and automaton vendors. 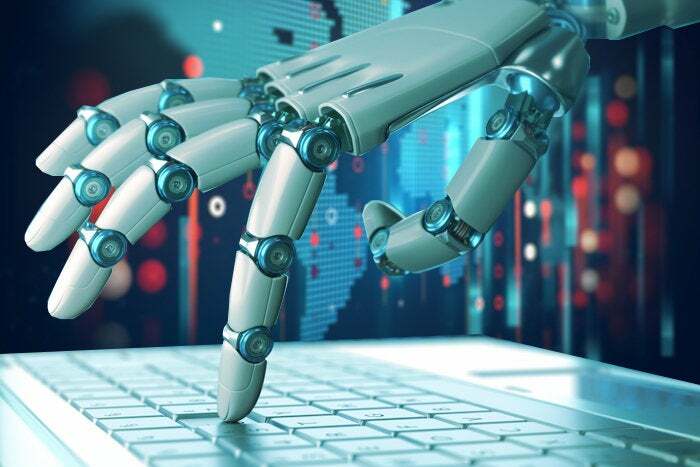 Automation software providers Blue Prism, AutomationAnywhere and UIPath have aggressively forged partnerships with most of the leading outsourcers, such as Accenture, IBM, EXL and Capgemini,” Fersht says. “AI vendors IPSoft and Celaton have also been active, while several outsourcers are now working with Watson, including KPMG.” However, Bendor-Samuel argues, “the incumbent service provider industry has no choice but to accelerate their rotation into digital, and the most effect way to accomplish this is through acquisitions.